Have PR agencies finally 'landed' at Cannes? Should independent agencies be better catered for? And what will be the impact of Publicis' pull out? PRWeek digests the issues. PR shops asked for more recognition at the PR Lions, and this year they got it. A change in the process allowed entrants to credit the agencies or in-house teams that handled PR for the campaigns; if the campaign wins a Lion, that agency is deemed a Lion winner. Last year just five (out of 84) PR Lions were won by PR agencies. This year the number was far higher - Ketchum and its subsidiaries alone bagging 11. However, ad agencies still dominate when it comes to credit for "idea creation"; just seven of the 100 Lions had a PR agency listed as the originator of the idea. It suggests PR agencies still have some way to go to improve their creative chops. 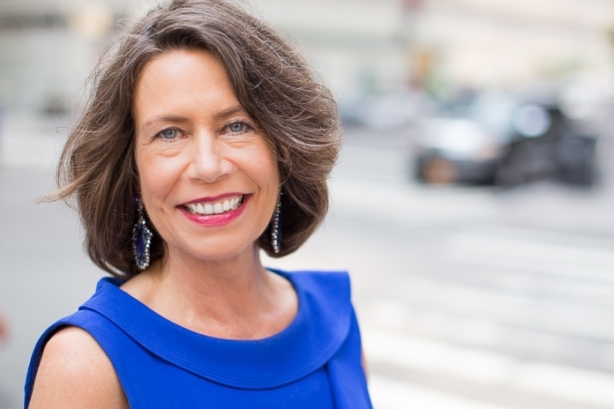 Karen Van Bergen, president of the PR Lions jury and Omnicom PR Group CEO (below), tells PRWeek 2017 was "a really good year for PR agencies". However, she points to increased competition from elsewhere, saying this is a challenge to PR shops to devise creative earned media campaigns. Van Bergen is upbeat, however: "In many of the cases that were submitted this year, you can see, we can do it." Regardless of how well PR agencies performed, the importance of earned media has never been stronger at Cannes. Take Fearless Girl, McCann New York’s campaign from State Street Global Advisors focused on the status of a girl facing off against the famous bull sculpture on Wall Street. The campaign swept the board with four Grand Prix wins, including in the PR category, and the statistics are incredible: it engaged 140m people across digital and print platforms, with six billion impressions on Twitter and more than 700m on Instagram. Speaking to PRWeek State Street head of communications and brand marketing John Brockelman said: "I would describe it as an earned and social media campaign - that was the vast majority of the activity. There was no major media buy associated with this." As Van Bergen puts it: "This is the time for PR to shine. Earned has never been so strong. The world is coming our way. In this world today, with all the uncertainties and instabilities, it’s all about building trust and we in PR have been doing that forever." Ad agencies have long used the PR Lions to demonstrate the breadth of their expertise, and, more than ever, PR agencies have been playing the same game. This year there were Lions wins aplenty for PR agencies in non-PR categories. Most notably, there were Grand Prix winners for Ketchum, for its work on Care Counts for Whirlpool in the Creative Data category; and Hill+Knowlton, for activities in the Aland Index/Baltic Sea Project campaign (below) for The Bank of Aland in Sweden, a Grand Prix winner in the Cyber Lions. "We think those are fair game for the type of work we are doing now," H+K UK chief executive Richard Millar tells PRWeek. "Just as the ad agencies have been using the PR Lions to show they are more than just makers of TV spots… it gives us as a PR agency that opportunity to demonstrate that, whilst we have earned as our core, we’re not excluded from playing across all categories." As PR agencies continue to integrate, diversify and beef up their capabilities, it’s a trend we can expect to continue. Writing for PRWeek, Peter Mountstevens, managing partner at independent UK PR agency Taylor Herring, says the Lions are "stacked against" British PR firms on a playing field "far from level". He suggests two solutions: banding campaigns by budget, and declaring media spend. "Both measures would help judges differentiate between marketing campaigns and work rooted in the practise of PR," he says. Jane Austin, owner of London-based indie Persuasion Communications – which bucked the trend and won four Lions, including for its work on brewer UBrew's Responsibly campaign (below) – agrees: "For a relatively small country in the grand scheme of things, the UK has historically punched above its weight when it comes to creativity, and often on much smaller budgets than you see in the global market. It’s about time this was reflected in the Cannes Lions, so banding according to budget would very much be a bold and welcome step forward. "It would also be a massive boost to our industry to get more smaller operations, such as us, celebrated on the world stage that Cannes Lions offers." The organisers have shown willingness to alter awards criteria when requested; perhaps more changes should be considered to keep the smaller players engaged, especially given the decision by some behemoth marcoms holding companies to reduce their presence next year (more on that later). 2016 PR Lions jury president John Clinton memorably lamented the "cause fatigue" experienced by jurors, blaming over-reliance on good causes among campaigns. There’s little sign of such weariness this year, with the multi-Grand Prix winning Fearless Girl using the rallying call of female empowerment to produce stunning results. There were plenty more examples; Gold PR Lions included a focus on racial tolerance (The DNA Journey for Momondo), the plight of displaced people (The Refugee Nation for Amnesty International), and road safety (Meet Graham for Australia’s Transport Accident Commission Victoria, below). Interestingly, Cannes Lions CEO Philip Thomas told a press conference that jurors were given instructions to "keep their antennae very high" regarding how women are represented in campaigns. Don’t expect the importance of causes to reduce in future years. "We’ve been quite focused on the gender equality issue because that’s where the industry has been focused," Thomas added. "I think we can move much further than that to the wider diversity issue." Where this leaves straight brand campaigns is another question. Publicis’ bombshell announcement that it is taking a year out from Cannes (and other awards) to focus on its AI platform Marcel poses a real question about the future of the Festival of Creativity. At an FT lunch, WPP chief executive Sir Martin Sorrell said his marcoms giant had half the number of attendees this year (500), and called for Cannes Lions to be "rethought big time and repositioned". "Some of it is diversionary, at best, unacceptable at worst." 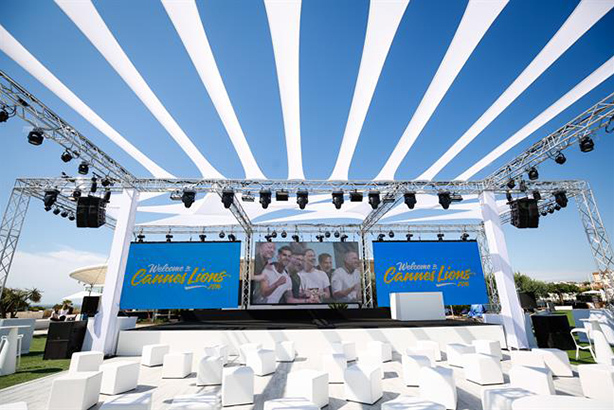 Ascential, the owner of Cannes Lions, said it would launch an advisory committee to "ensure it continues to respond to the needs of the industry". Others may see reduced involvement by some of the big boys as a chance to up their Lions tally, although could the accolade’s value be diminished, like a gymnastics medal in the 1984 Olympics when the Soviet Union pulled out? There are certainly many questions to be pondered before the industry begins its next annual pilgrimage to the French Riviera.